As a consumer of all things motorcycle I’ve read thousands of articles, blogs, and books related to motorcycles. I figured that one more site devoted to writing about motorcycles couldn’t hurt. I write about rides that I’ve taken, bikes I’ve owned, and products I’ve purchased. There are so many aspects of riding. Here I try to capture my feelings and experiences as a rider and what riding means to me personally. My current bike is a 2011 Concours 14 purchased on June 6th after trading in my 2005 Harley-Davidson Electra Glide Standard (FLHTI) which I’d riden since 2008. Before that I owned a 2000 VStar 1100 Classic and a Suzuki Savage 650 of undetermined (can’t remember) year. I participated in the Cycle World Kawasaki Ninja 1000 experience the summer of 2011. As a part of this event I test rode a 2011 Ninja 1000 for three months and wrote about my experiences with the bike. You can read more about it on the Ninja 1000 Experience website and my posts on this site. In 2012 I was part of the Cycle World event for the Cycle World Ten Best Riding Experience. The event was a test ride and review of the Ducati Diavel, Cycle Worlds 2012 winner for Best Cruiser. You can read about the event and test ride in my post Cycle World Ten Best Riding Experience: Ducati Diavel Test Ride. Since 2013 I’ve been a regular contributor to Motorcycle Times Magazine. Check out my articles here in this blog or pick up a free copy of Motorcycle Times at your local dealer in the Mid-Atlantic region. If you like what you read here leave me a comment, subscribe to the blog, and let me know what you think. You can reach me on twitter @sevenaces11 or email me at info@7acesmotolog.com. Hey Mike, I live in Bristow, VA. 🙂 Regarding your N1K experience ride: lucky bast***! Anyway, if you wanna meet up any weekend for some mountain twisties drop me a line (find me at paulgeorge.com). Paul – Just checked out your site. Love the bikes and the guitars. Since I’m over here in Warrenton I think that a nice run through some great back roads would be a blast. I’ll drop you an email the next time I’m heading out for a ride. Also – Check out http://www.meetup.com/wasra1/ it’s the local riding group that I mostly ride with. We took this summer off but have some fun rides planned for the fall. Just checking in to see your new site – looks great! Looking forward to BRP ride! Just checking out your Blog! You’ve been very busy lately – You’re accreting quite a body of work. Keep up the good work! No Problem Dave. I’m always looking for more motorcycle stuff to read/see/learn about. Some call it an obsession, I call it enthusiasm! Yes, it can be a fine line ‘tween obsession and enthusiasm. Perhaps we are obsessive enthusiasts? I’m inspired by the regularity with which you post, Mike! My problem is that I’m trying to maintain two, and one always languishes. Anytime you’re in the Asheville, NC area, please look me up! I just picked up a KTM 640 LC4 Dual Sport, which is going to make my year! Thanks. I actually feel like I’m pretty irregular in my posts. I’d like to get to a regular schedule but haven’t gotten there yet. 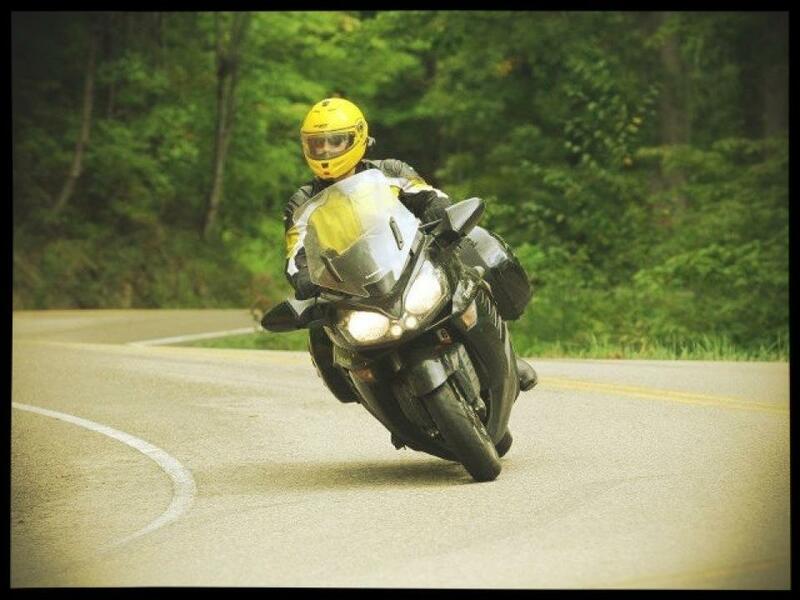 I will be in Maggie Valley in mid July for the RoadRUNNER magazine touring weekend. You should check it out since it’s in your backyard. I had a blast out there last year and can’t wait to get back to the amazing roads you have. Great to hear from you! At least we are both riding, that’s really important thing. Keep riding safe and spread the word. Good to find the site of a fellow enthusiast! Hey there – I found your site via reddit and liked the article about moto nerds. 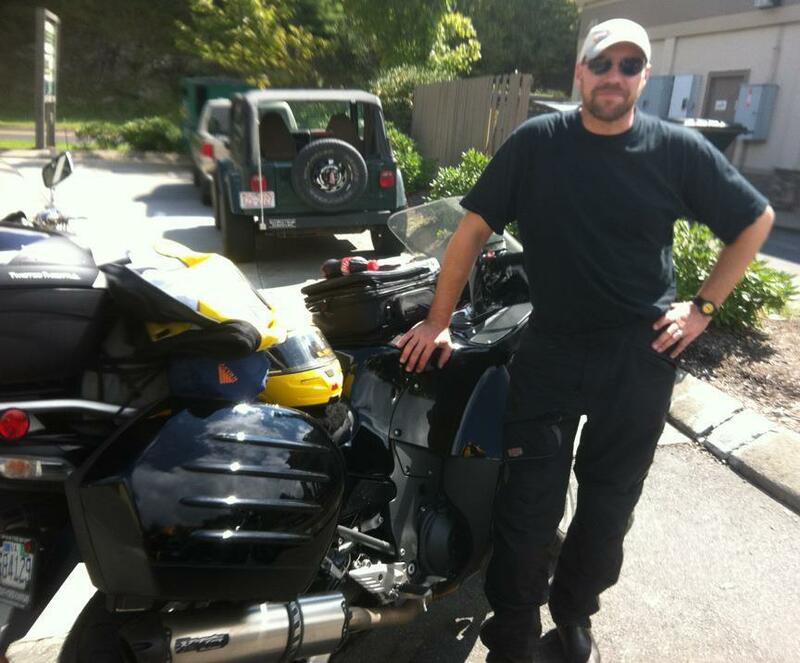 I also listen to the Wheelnerds and know exactly what you’re talking about wrt this odd breed of motorcyclists 🙂 I put a link to your site on mine site, and since you like to read about other motorcyclists’ adventures, maybe you’d enjoy poking around on mine while you’re waiting for the snow to thaw. Take care! Thanks Colleen. I’m glad you liked the article. Nice site. I’m going to have to check out your book. Thanks for stopping in and leaving a post.